Columbus, Ohio, is known as both “Cowtown” and “The Biggest Small Town in America,” nicknames that begin to shed light on the destination’s Midwest charm mixed with big city amenities. Relative to other urban centers, the streets are safe and the people are friendly, yet you’ll find restaurants, galleries, shops and other attractions that have Columbus competing with cities two and three times its size. Contrary to many other cities across the nation, the population of Columbus has been growing steadily. This influx of new residents has led to many new business openings in the city, and kept healthy competition amongst both old and new proprietors. Here, the average price for a beer at a bar is a modest $3.50, and meals at reasonably priced restaurants will only set you back about $10 per person. The food scene is delicious, there are plenty of attractions to explore, and getting around is simple – whether you’re traveling by foot, bus, bike, taxi or even pedicab. If you need more convincing, consider this: Columbus has been ranked a top shopping destination by Forbes, a top arts destination by American Style, a top city for biking by Bicycling Magazine, and the city’s Science Center, COSI, was named the number one in the country for families by Parents Magazine. On top of that, National Geographic recently named the city one of the top 10 best fall trips. Spend a long weekend in this city, and you might find yourself wanting to come back for more. The Wayfaring Buckeye Hostel: Columbus is known for its mega-sized university, Ohio State, and this newly established house-turned-hostel is the place to be if you want to stay in the heart of it all. The whole place is ready to party: on the front porch you’ll find a beer pong table, the common area is outfitted with a projector screen for movies and a foosball table, and the back patio frequently hosts music performances. Despite the frat house atmosphere, managers keep the hostel clean, and visitors can also take advantage of free Wi-Fi, bicycle rental, laundry facilities and more. From $25. WayfaringBuckeye.com 2407 Indiana Ave.; 614-754-0945. The Lofts: At this recently renovated boutique hotel in Columbus’ Arena District, old meets new: the hotel’s exterior is set in a historic former warehouse, yet inside you’ll find clean, contemporary designed rooms with exposed brick walls. Other amenities include an indoor swimming pool and an on-site restaurant. Be sure to check into package deals, as the hotel has been running a special where they throw in a third night stay for free, bringing the overall price tag way, way down. From $144 (before discount). German Village Guesthouse: If you’re looking for something a little quieter, the cozy German Village Guesthouse is not only ranked as the top bed-and-breakfast in Columbus on TripAdvisor, but was also voted the “Best Hotel/B&B in Columbus” in the 2012 reader poll by 614 Magazine. Some of the rooms offer great views of the Columbus skyline, and on the ground you can explore the cobblestone streets and lush gardens of historic German Village, a neighborhood on the National Register of Historic Districts. From $195. Grass Skirt Tiki Room: The newest oasis in Columbus’ downtown area is this tiki-themed bar, the brainchild of the city’s ragtag group of unorthodox restaurateurs, the Columbus Food League. Here you can chow down on a Loco Moco (traditional Hawaiian dish of burger patties over rice smothered in gravy and a sunny side-up egg) while throwing back a mai tai, or you could head to one of the group’s other restaurants: the Surly Girl Saloon, Betty’s Fine Food and Spirits, or Tip Top Kitchen and Cocktails, where you’ll also get a dose of Ohio history. Food Trucks: These days, it seems as though you can’t talk about cheap eats without mentioning meals on wheels. Columbus is no exception to the food truck craze, with nearly 100 roving restaurants circulating the city. Options range from creole to crepes, Indonesian to Italian, pierogies to pulled pork, or Jamaican to Korean, but the trend that has really taken off are taco trucks. More than 40 of these trucks cater to Columbus’ fastest growing population – Latinos – as well as anyone else who wants a quick, tasty bite. North Market: In the late 1800s there were four public markets in Columbus, each with a name paying homage to its cardinal direction. Today, only one remains: North Market. The current 36 merchants inside the building include delis, bakeries, pastry shops, ethnic restaurants, specialty goods sellers, produce stands and more. Even if you only pop in for a taste, don’t miss Jeni’s Splendid Ice Cream. This creamery takes the label “artisan” seriously, promising “[e]very single thing we put in our ice cream is legit.” Just last year, head honcho Jeni Britton Bauer won a James Beard Foundation Book Award for her cookbook, “Jeni’s Splendid Ice Creams At Home” – a great takeaway if you’re looking to bring a piece of Columbus back home. Experience Cafe Culture: It would be far-fetched to say Columbus is the next Paris, but this city has become obsessed with cafe culture recently. Artisan roasters and craft coffeemakers are popping up all over the city, promising a cafe on nearly every street corner – that isn’t Starbucks. Cafe Brioso and Staufs Coffee roast all their coffees in house, while Back Room Coffee Roasters operates out of a local bike repair shop and Thunderkiss roasts single-origin coffees in less than five pound batches. There are also mainstays such as Cup o’ Joe and Crimson Cup. Swim with Stingrays: You no longer have to go to a place like Belize’s “Shark Ray Alley” to swim with stingrays. Last year, the Columbus Zoo and Aquarium opened a new attraction, Stingray Bay, inside an 18,000-gallon saltwater pool that allows you to get up close and personal with the creatures. Touching the stingrays in Stingray Bay is perfectly safe, and it only costs an extra $3. Even better, you’ll be inside a top-rated zoo that was developed with great help from famed zookeeper Jack Hanna and is currently home to more than 9,000 animals. If that’s not enough, the zoo is adjacent to the Zoombezi Bay Waterpark. A day pass to both attractions is less than $30, and you’ll also save on parking! Columbus is easily walkable, with much of the city centered around the main north/south drag: High Street. Along this road you’ll find some of the city’s best bars, restaurants, art galleries and specialty shops. Several neighborhoods are worth a walk-through, particularly the Short North, the arts and entertainment district. If you happen to visit during the first Saturday of each month, the Short North hosts a free gala on fine art and food starting at 4 p.m., when all the galleries along High Street open their doors to unveil new exhibitions – and many offer small bites and samples of wine. However, if you need to get from one end of High Street to the other faster than your legs will take you, the #2 bus operated by Central Ohio Transit Authority (COTA) can get you anywhere along this main artery for $2 per trip or $4.50 for a day pass. Since the city is flat, renting a bike is also a great option, or if preferred you can have someone else do the legwork by taking a ride in one of the many pedicabs that navigate the city. Buses also service Port Columbus International Airport, which is six miles from Columbus. Use the trip planner on the COTA website to find the next bus, or just pop the address into Google maps to get bus directions to your starting (or ending) location. The next best option is a shuttle bus, of which there are many options to and from the airport. If you’re looking for a night out on the town without hurting your wallet, check out the Columbus-based website 20 Dollar Dates. There you’ll find plenty for two people to do, and you’re guaranteed to never spend more than a Jackson. Date ideas range from happy hour specials to nearby hikes to holiday-themed activities. Pinterest became the hottest social network this year, with millions using the site to collect and search for recipes, design ideas and inspirational quotes. Many travelers have used Pinterest for planning and sharing trips, tips and destinations (you can find Gadling here). Now Afar.com, the website and community behind AFAR magazine, has introduced a new feature to curate travel experiences, chronicle favorite destinations and discover new places in a way that’s Pinterest-like in ease of use and appealing interface but designed just for travelers. “Wanderlists” are part of AFAR’s collaborative travel guide, comprised of a collection of travel “Highlights,” similar to an inspiration board. Users can create a Highlight incorporating a photo and description of a place or experience, adding contact information and location tags to make it easier for other travelers to find. A Highlight might be a moment in a field of Irish wildflowers, a favorite breakfast spot in Istanbul, or a Victorian town in New Zealand. Highlights are integrated with Google Maps for easy reference, and can be shared over Twitter, Facebook, or email (you can even pin to Pinterest too). If you feel more like gathering ideas than sharing your own, you can search for any destination or topic like food or surfing. Currently, Highlights and Wanderlists are all user-generated, but will soon include magazine content as well. You can get inspired by collections from the AFAR team like American road trip pit stops, markets around the world, or favorite spots in Cairo. Create your own Wanderlists and search for Highlights at Afar.com. On a recent extended trip to Phnom Penh, I decided to bring along my trusty five-pound Southeast Asia on a Shoestring guide from Lonely Planet. Big mistake. In a city changing as quickly as Cambodia‘s capital, I found that nearly all of the information had become dated and irrelevant. Nearly half of the recommended restaurants had gone out of business, and the budget guesthouses, experiencing the “Lonely Planet effect“, were now half as nice, twice as expensive, and filled with people who, well, kinda sucked. Spotted By Locals aims to be a different kind of travel guide by providing up-to-date travel advice from urban residents through blogs, PDF city guides, and a newly redesigned iPhone app. After road-testing the app, I’d say they’re well on their way. The Spotted By Locals app is, to put it simply, awesome. Launched in December, the mobile application is 100 percent off-line, which means you don’t need to go bankrupt with data roaming or search endlessly for WiFi hotspots in order to access its wealth of information. And wealth it is. Since the app is currently only available for select European cities, I downloaded the Paris guide, clicked on the map, zoomed into my old street in the Marais, clicked on some of the map markers, and was able to access insider information written by residents about my two favorite vintage shops (Free ‘P’ Star and Vintage Desir, if you must know). Spotted’s strength lies in its roster of local bloggers, who live in the cities they represent, speak the local language, and volunteer their services for free. The locals are hand-picked by owners Sanne and Bart van Poll, avid travelers based in Amsterdam. Plus, since the locals are active residents of their cities, they’re able to keep the guides’ information current and provide updates nearly in real-time, so you can stay ahead of the Lonely Planet pack. One of the biggest difficulties for the modern traveler in a foreign country is in acquiring smartphone data. Domestic telecom companies, still stuck in the stone age of pricing models charge a ridiculous amount for international data, and horror stories about $85,000 phone bills have flooded the internet. Without a data plan to download Google Maps or reference the cloud for research, dynamic and engaged travel becomes difficult, and a great deal of planning needs to be done in preparation to avoid connecting. Of course, a full range of smartphone apps have entered the market that are capable of alleviating part of this problem. Lonely Planet and a variety of other guides for most cities are available to download online. But each of those guides is for a singular city, and in many cases, the guides cost a moderate amount of money. For a free alternative, Gadling Labs discovered a great set of apps tied to Wikitravel that allow you to download the entire database of destinations to your phone (minus the pictures) and use that as a wireless-data-free reference. For android, use OxygenGuide. All that you have to do is download the database (about 55Mb or 10 songs), put it on your phone and link to it in your browser — there are instructions on the site. The more user-friendly iPhone has an app called iTravelFree that allows users to download data and store it locally. A recent trip to Seoul brought an excellent opportunity to test out the OxygenGuide. With no internet on the plane, the Seoul Wikitravel page was loaded to research a few different hotel options and learn the layout of the city. During the brief layover in Osaka, a reservation could quickly be made before scrambling over to the Asiana flight bound for Korea. As far as interface goes, since no pictures are involved (that would take up too much space) the Wikitravel guides are a fairly bulky, word-heavy read, with spartan menus linking directly to each destination and very little search functionality. But on the flip side of the coin, it’s free, it gets rid of the nasty need to rely on international data plans and it’s a public project with good intent. Consider this the food co-op of travel guides – by the people, for the people and with no frills to distract you. As a child, I was fascinated by stories about Marco Polo. History told us that the 13th Century Italian merchant and explorer famously traveled to the Far East, where he witnessed the wonders of Chinese and Mongolian cultures, and even served as an ambassador to the court of Kublai Kahn. For more than 24 years, Marco wandered throughout Asia, where he traded with the locals and became intimately familiar with their way of life. Eventually, Marco returned to Venice, where he mesmerized people with tales of his far-flung adventures. Those stories would later be documented in a book entitled Description of the World, a work that was incredibly popular, even long after Polo’s death in 1324. Many historians consider it to be amongst the first travel books ever written and it helped to cement Marco’s stats as a legendary figure in history. So much so, that 700 years after it was first published, we still revel in the tales of Polo’s fantastic travels. But what if the famous merchant wasn’t exactly honest about his exploits? What if he hadn’t traveled as far and wide as he claimed in those tales? What if Marco Polo was a travel fraud? That’s exactly what archaeologists have now come to believe after pouring through Description of the World and lining up what Polo described in the text with what we now know about historical events and places. In fact, according to a story published in The Daily Telegraph a few days ago, historians now believe that Marco Polo never even went to China. Instead, they think that he picked up his stories from Persian merchants that he dealt with directly along the Black Sea. Polo may have then taken those stories, embellished them a bit, adding in his own details for good measure.For example, when describing the fleet of ships that Kublai Khan used on his failed attempt to invade Japan in 1281, Polo claims they had five masts, when archaeologists know that they had just three. Something he could easily have forgotten or overlooked you say? Agreed. But his book doesn’t mention the Great Wall of China at all, nor does he make even a passing reference to drinking tea or using chopsticks while visiting that country. Marco also uses a variety of Persian words to describe locations in China as well, which also indicates that he may have been getting his stories second-hand. Dr. Frances Wood, the head of the Chinese section of the British Library, also says that there was nothing from China ever found amongst the Polo family’s possessions and that throughout his book, Marco rarely mentions that he witnessed something first hand. She believes that he actually came across a Persian guide book on China in his travel and simply used that for the basis of his tales. So, let me get this straight. 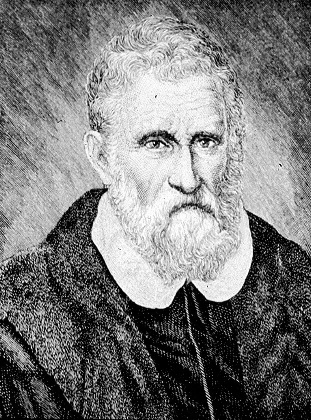 Marco Polo not only helped to launch the travel writing industry, he also became one of its first writers to plagiarize and exaggerate his content? This guy really was ahead of his time.